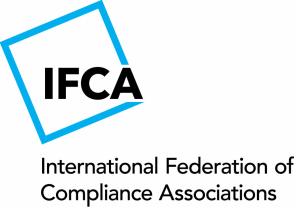 The IFCA was formed in Dublin on November 23, 2010. The objective of the organisation is to improve services to our respective members by pooling knowledge and sharing information on best practice regarding different business models and service offerings. Membership is open only to not-for-profit associations and professional bodies that have a primary focus upon the promotion of compliance and or ethics and the career progression of their respective members. While some countries may have more than one professional body representing the compliance and ethics profession, there will be only one vote allocated to each jurisdiction despite the IFCA allowing more than one association per country being a member of the IFCA at any one time. Members meet every two months via teleconference and then once a year face to face.